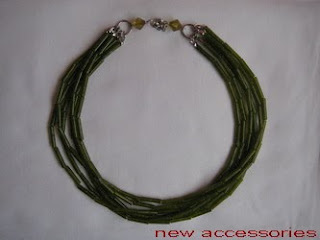 This green beaded necklace is made with 8mm plastic beads, 14mm glass sticks , 10mm jump rings. Oh they are lovely.They are very fashionable and can be sported with many a dress.Changing colors and setting the look of the attire. Your new beaded jewelry are so beautiful! As beautiful as simple. With this necklace you are really ready for summer! I love this colour and the necklace is really gorgeous! all color combination is very beautiful and unique style.